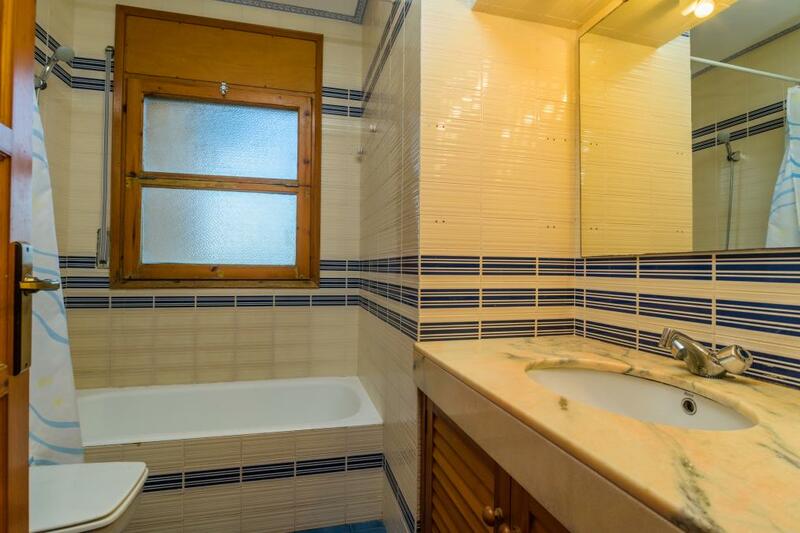 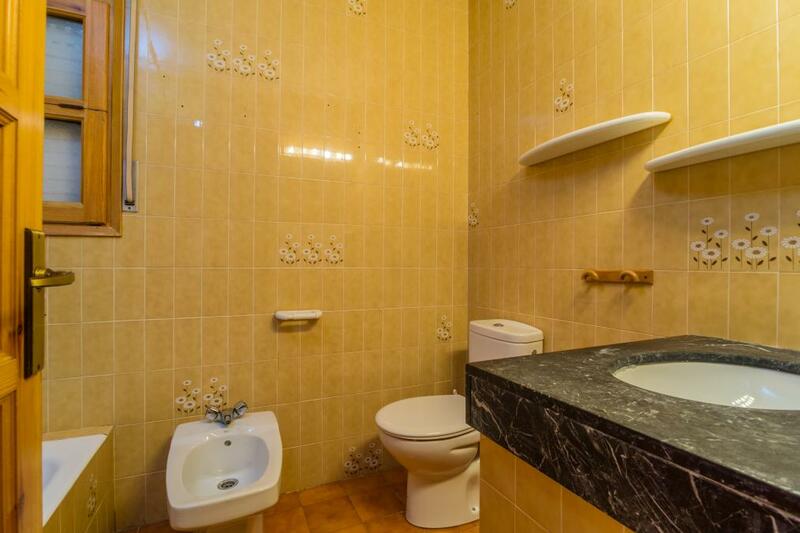 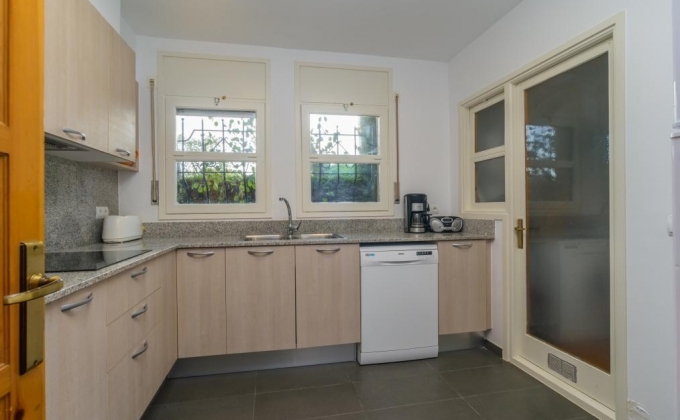 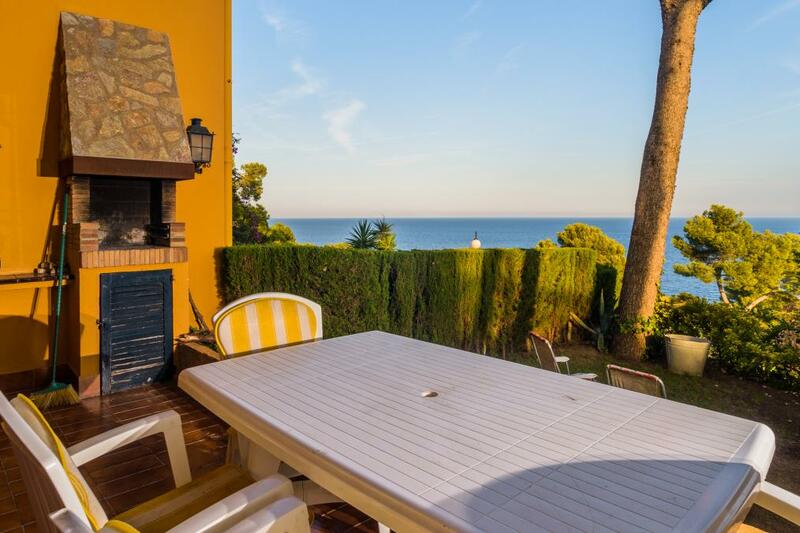 Semi-detached corner house with sea views, shared swimming pool, private garden and terrace. 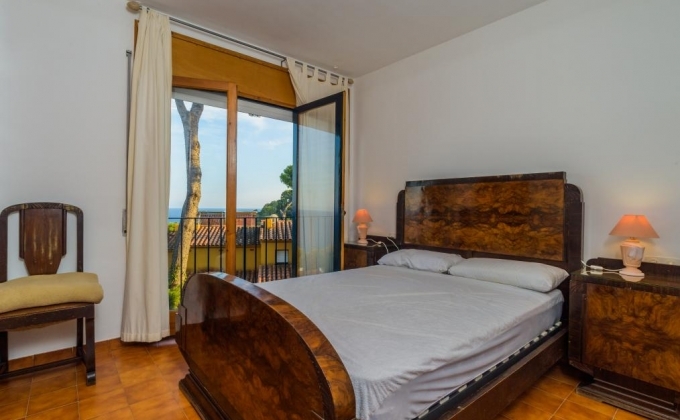 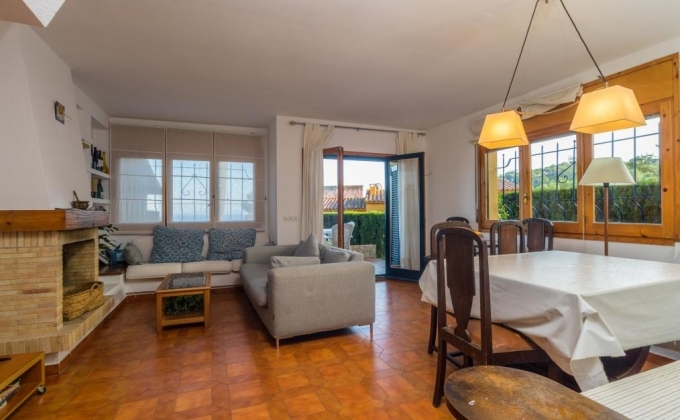 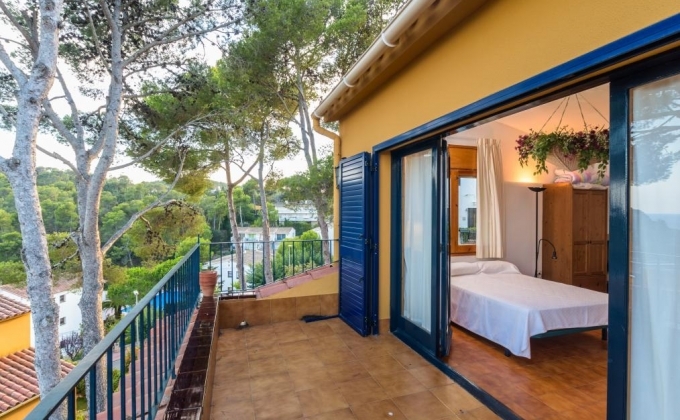 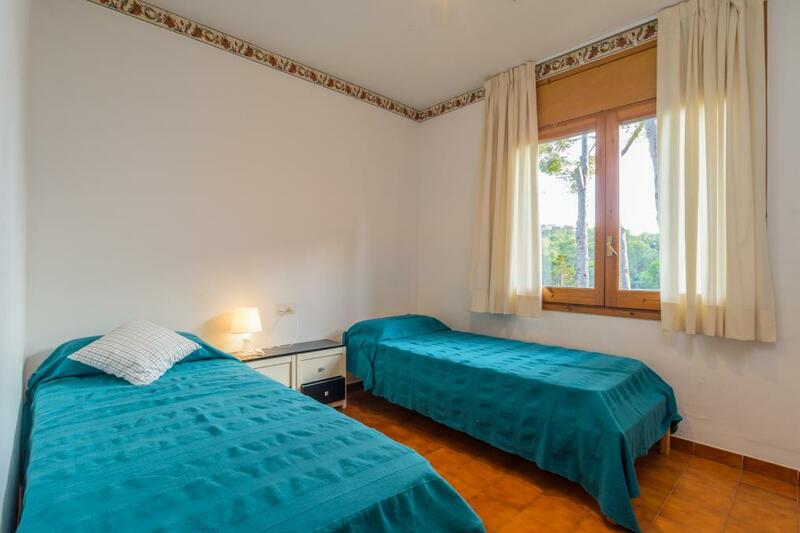 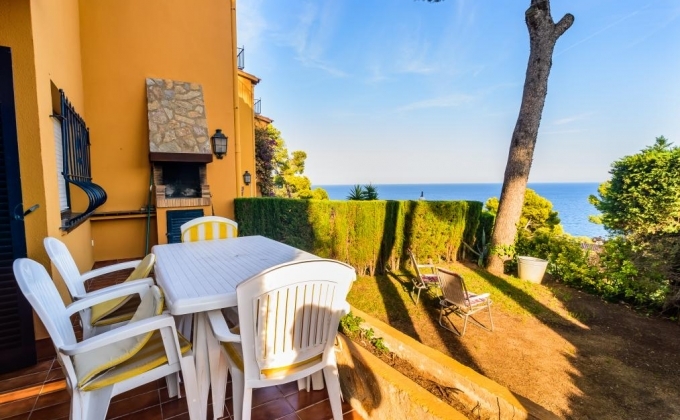 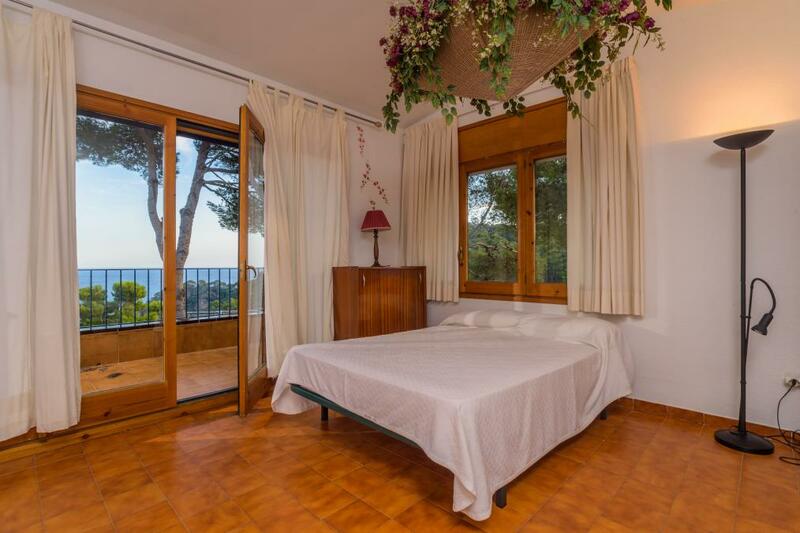 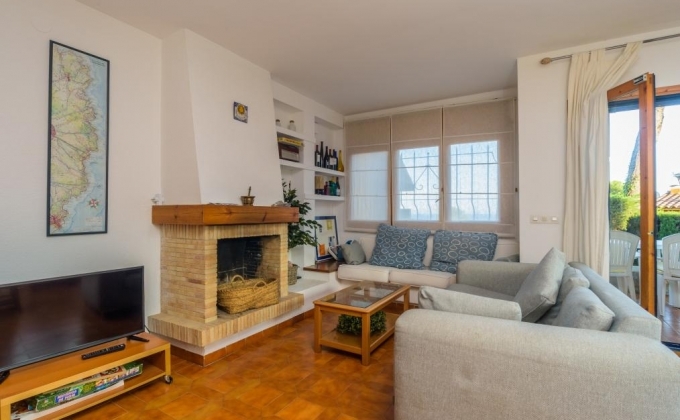 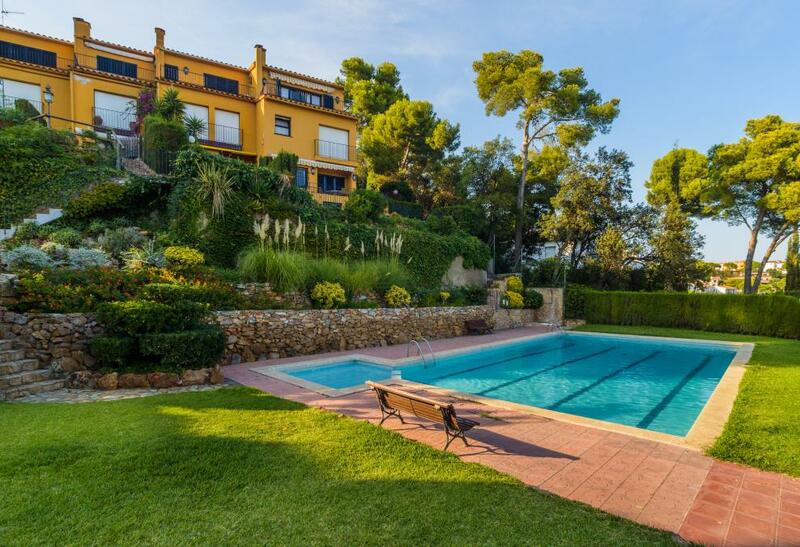 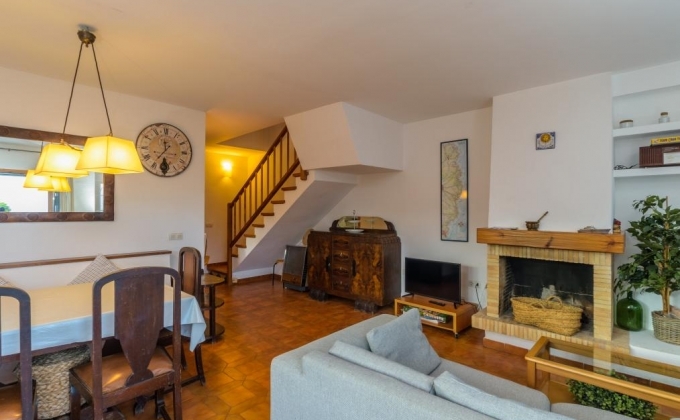 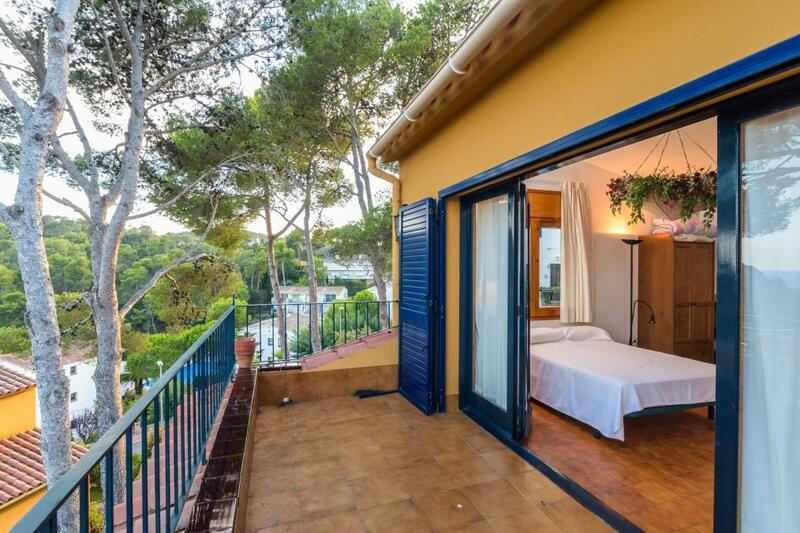 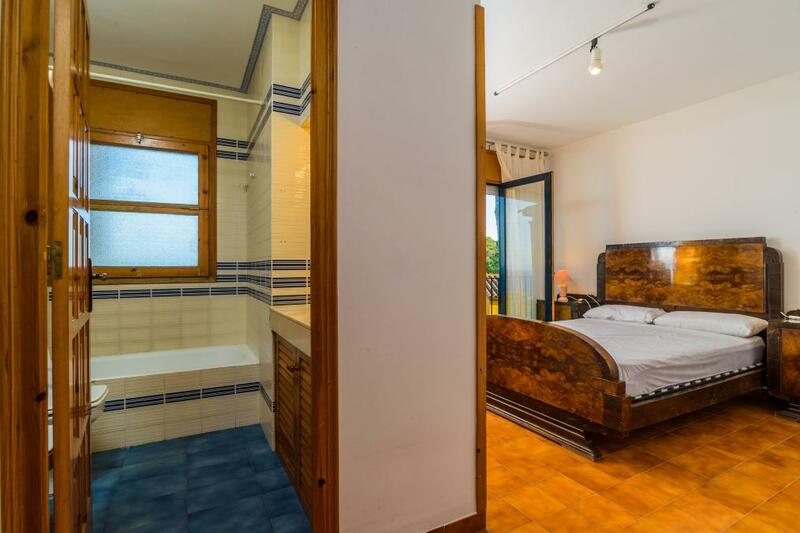 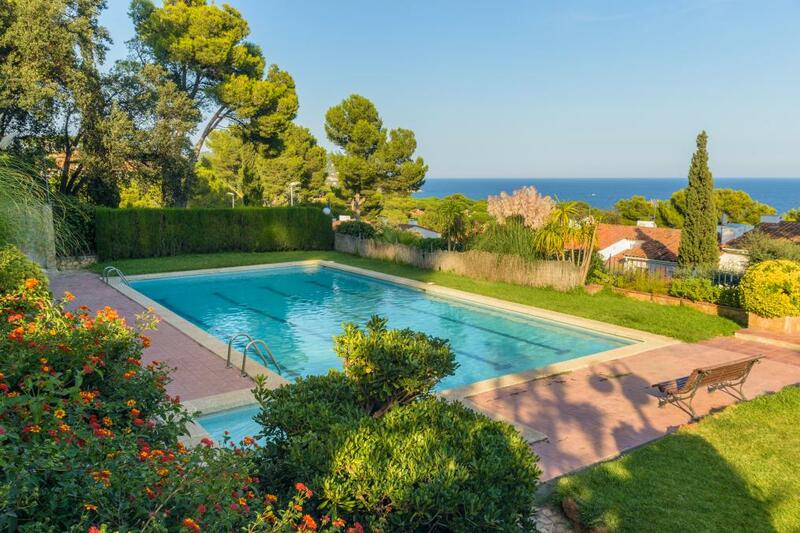 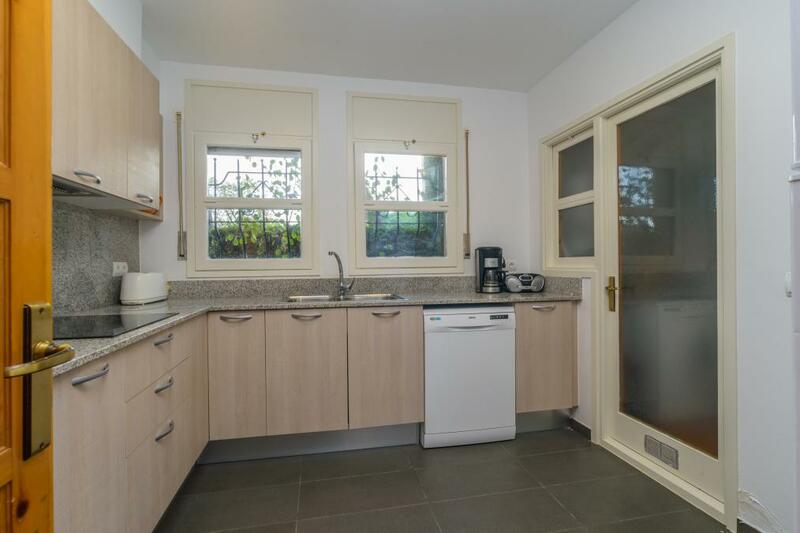 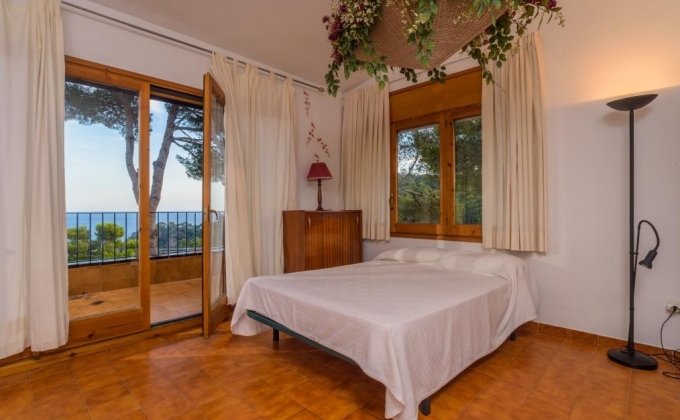 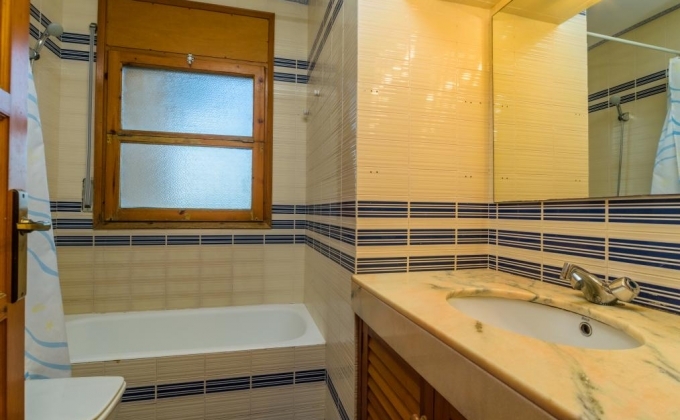 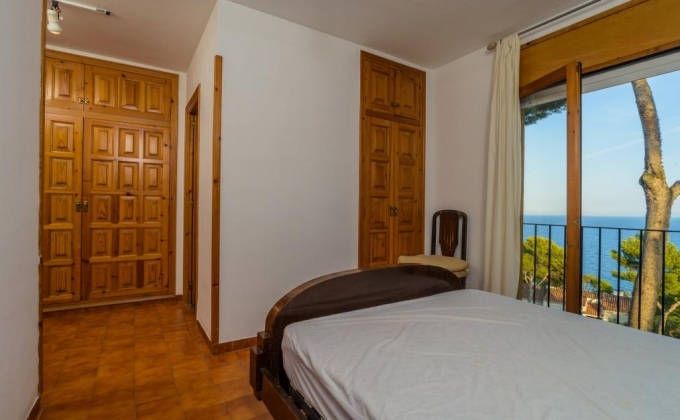 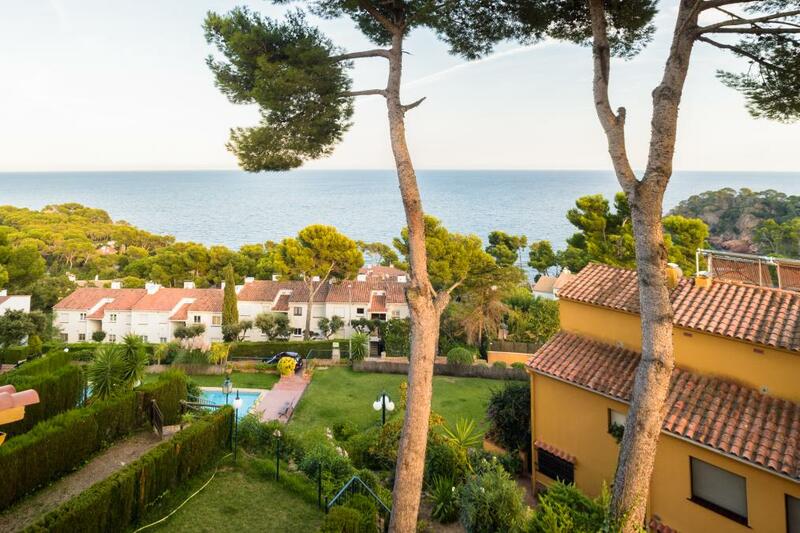 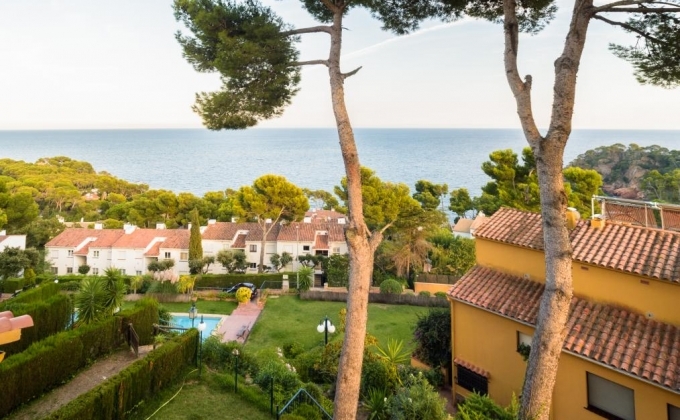 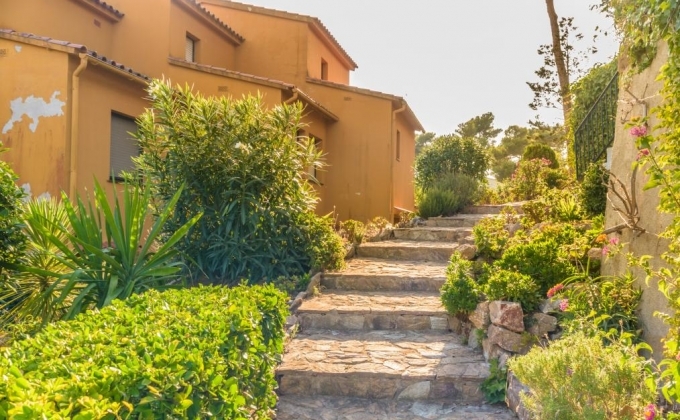 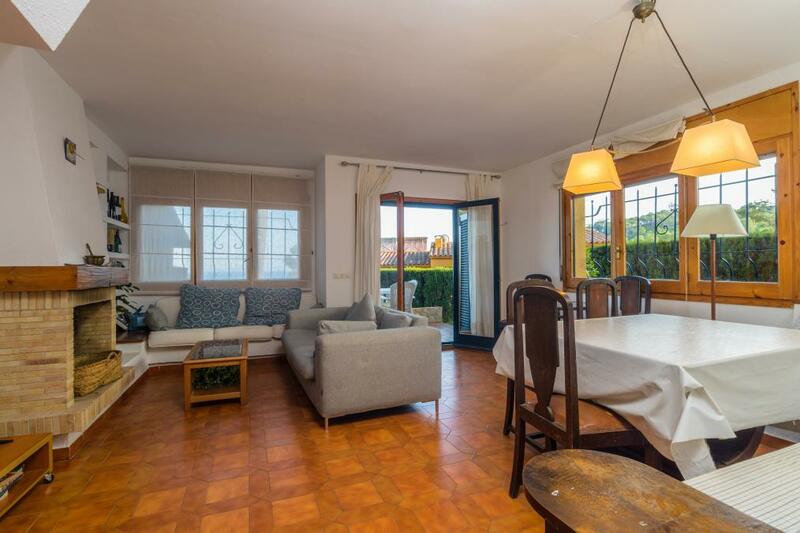 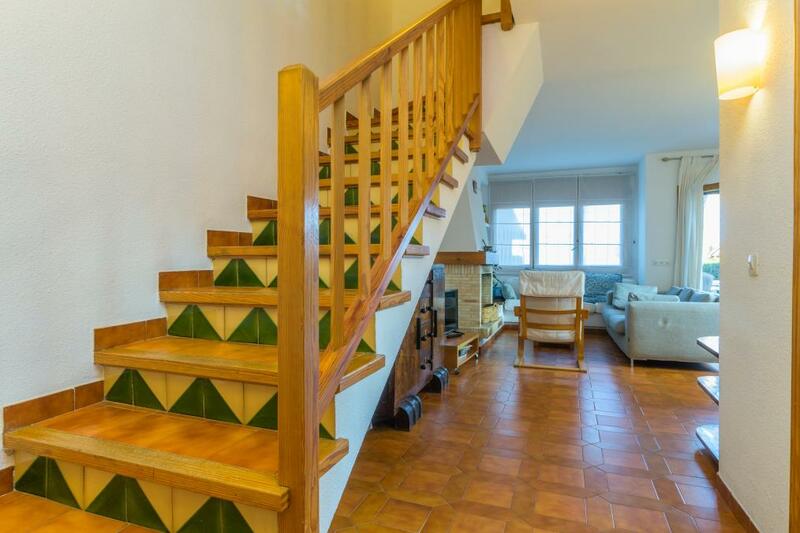 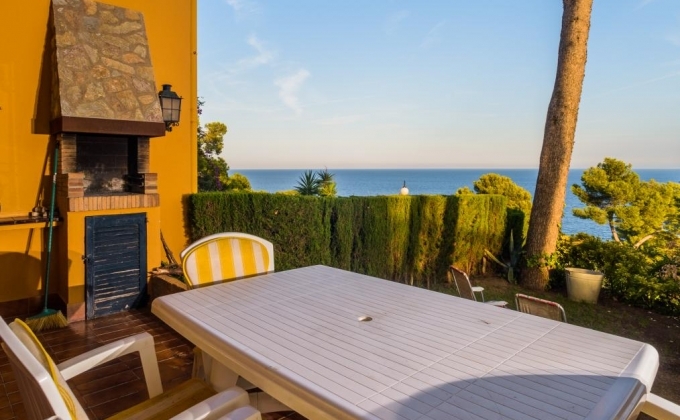 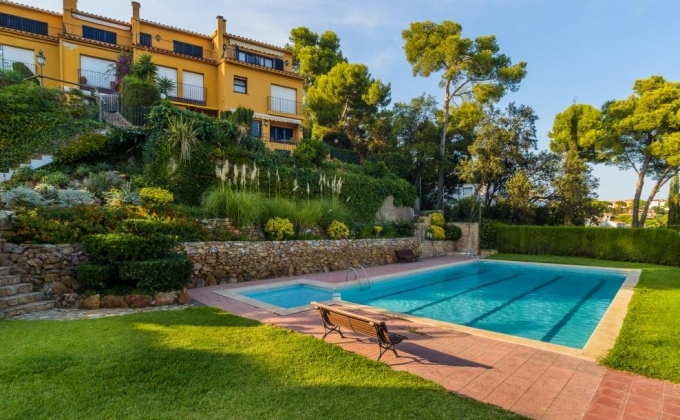 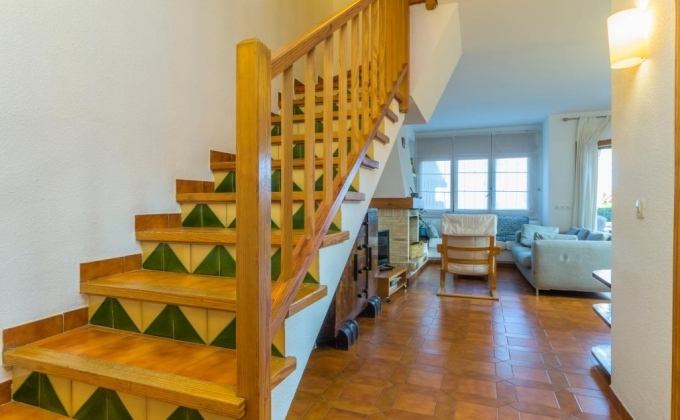 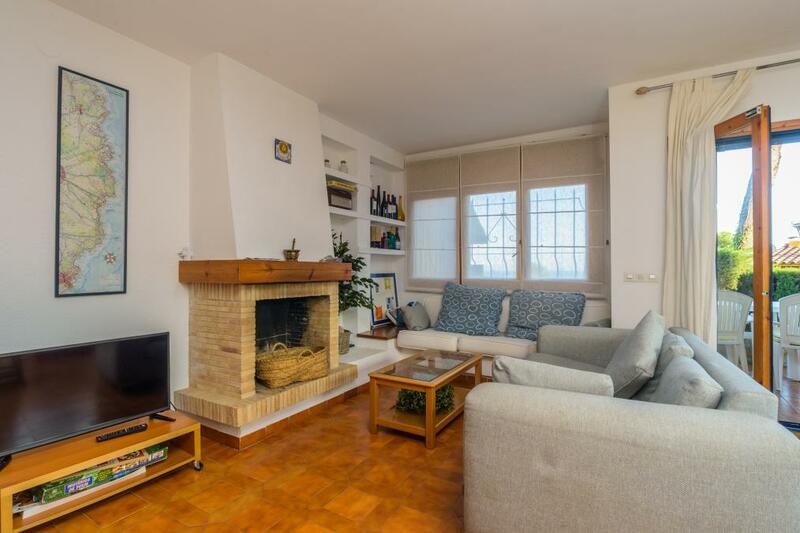 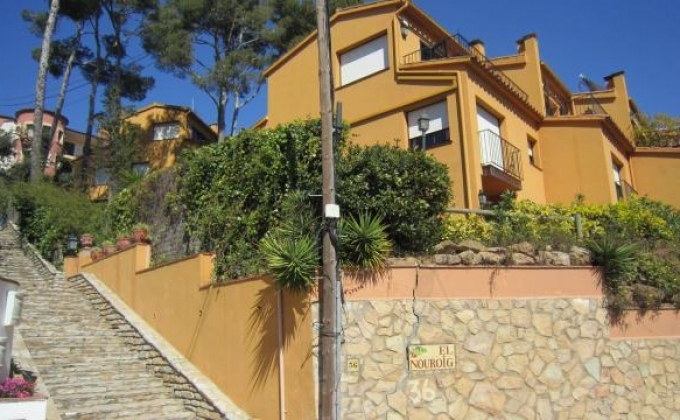 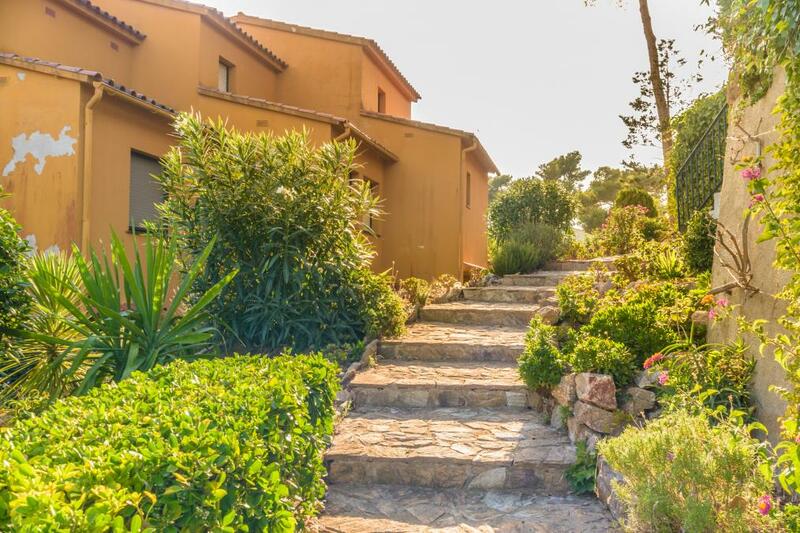 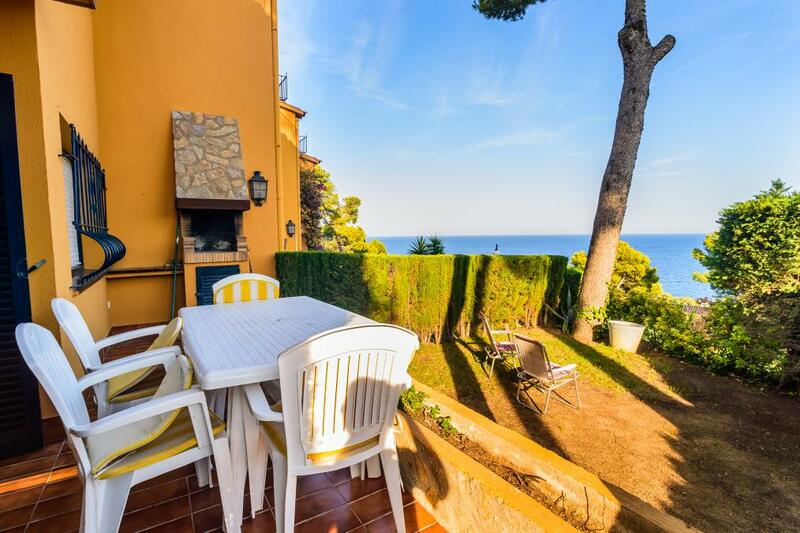 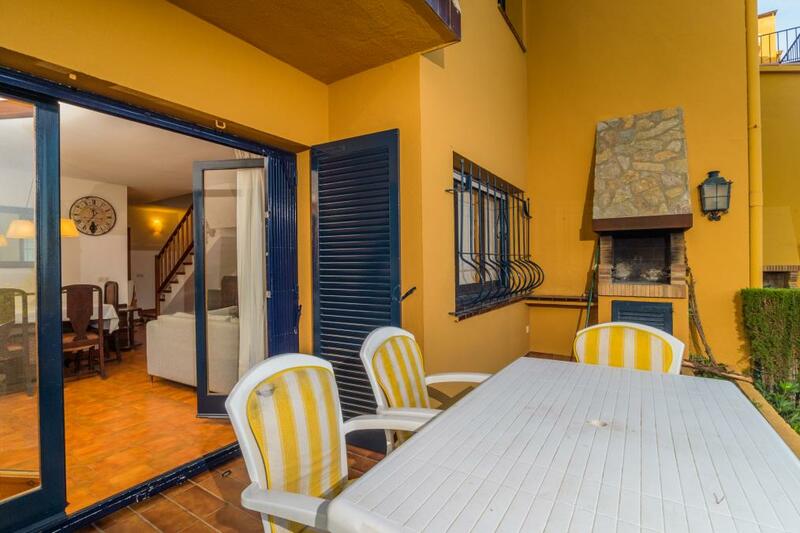 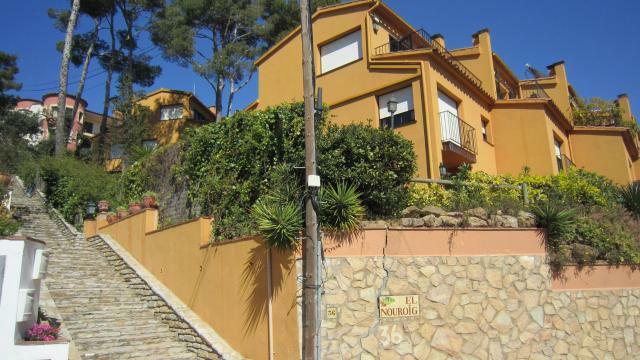 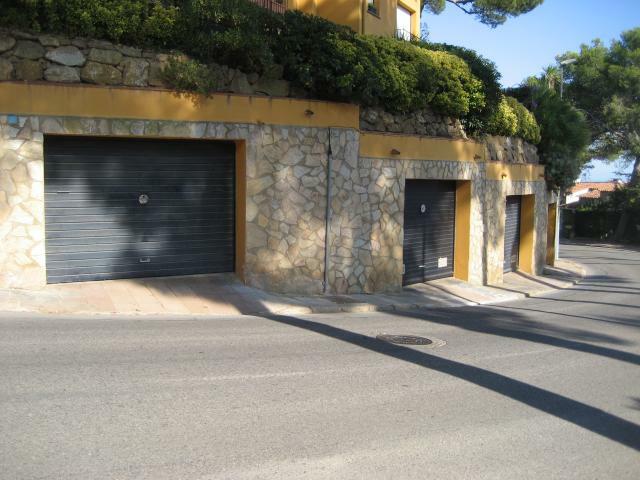 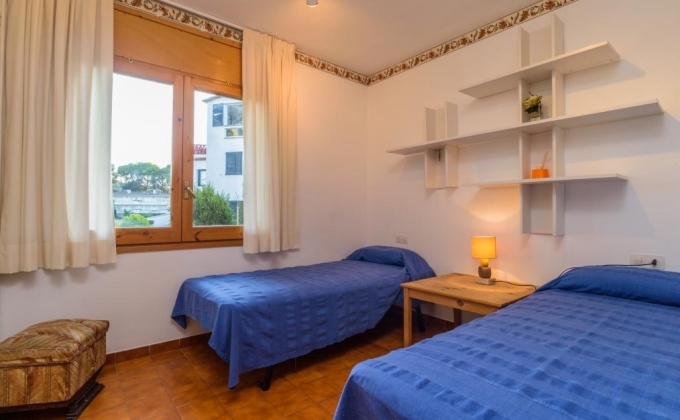 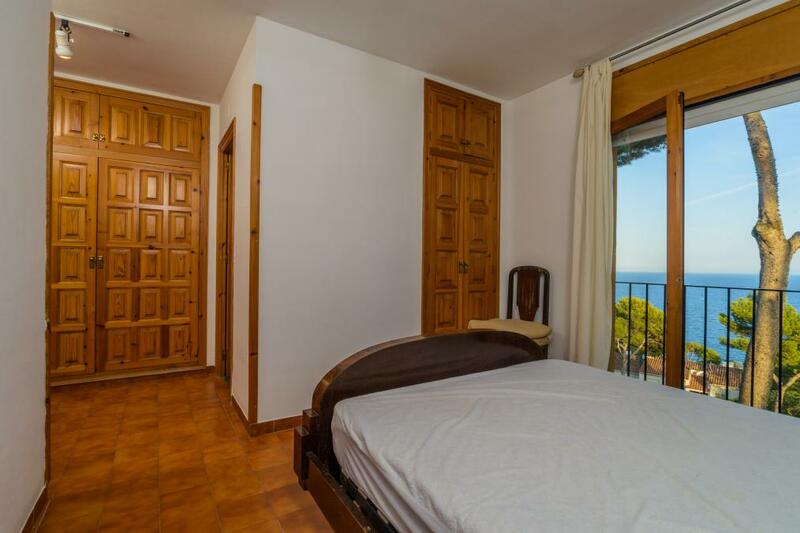 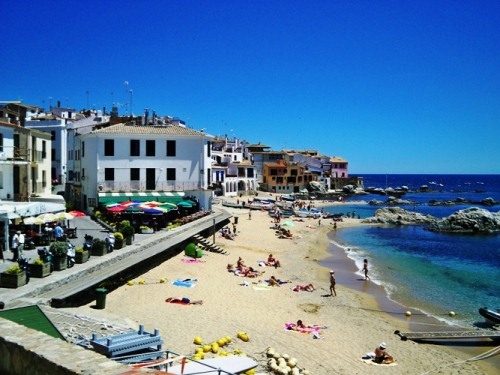 Located in a quiet area in Calella de Palafrugell with fantastic sea views, just 600m from a sandy cove and 1.6km from the enchanting coastal town of Calella de Palafrugell with its string of golden sand coves, waterside restaurants, cafes and shops. The house is over three floors and can accommodate 8 occupants. 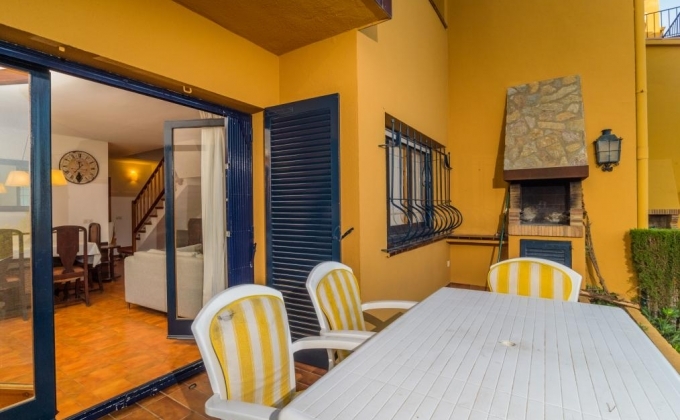 On the ground floor there is a W.C., large new kitchen and a large living room with access to the terrace, which has a barbecue and from which there is access to the communal area. 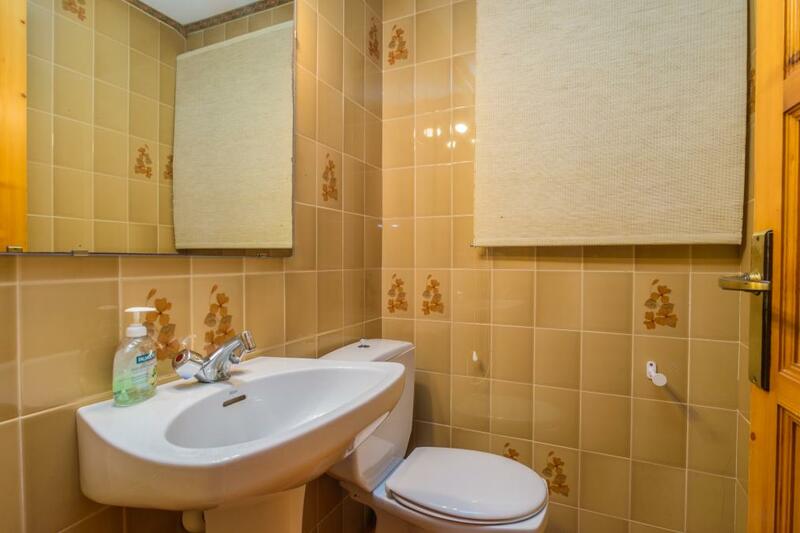 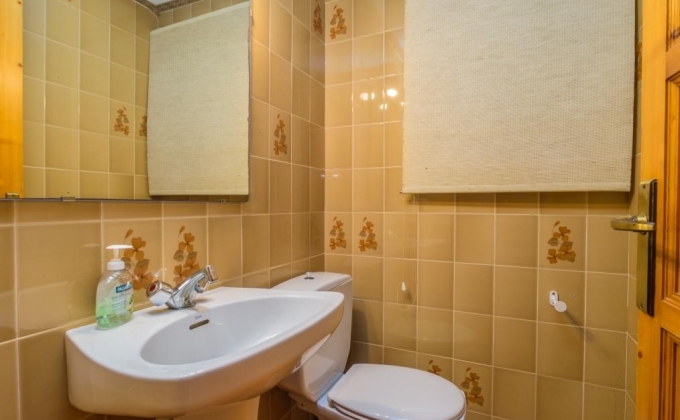 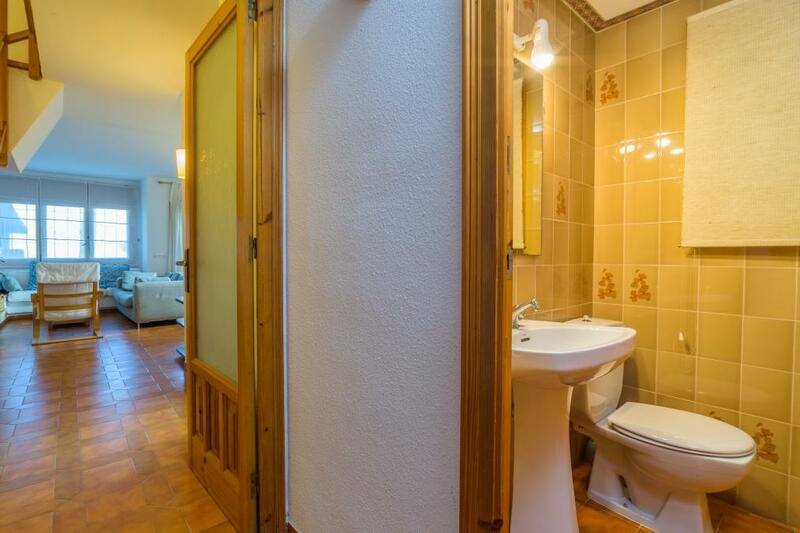 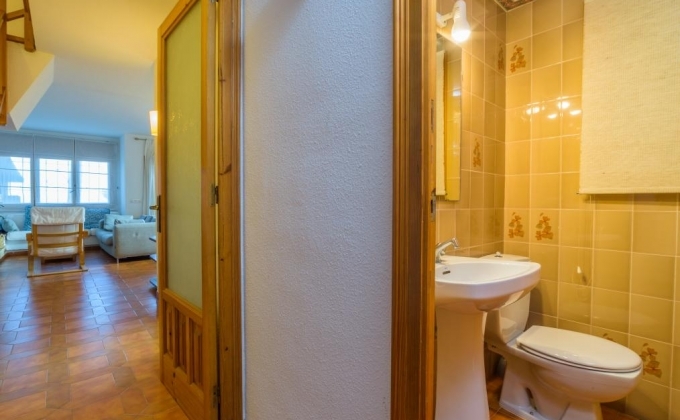 On the first floor there is a double bedroom with en-suite bathroom and 2 twin bedrooms with separate bathroom. 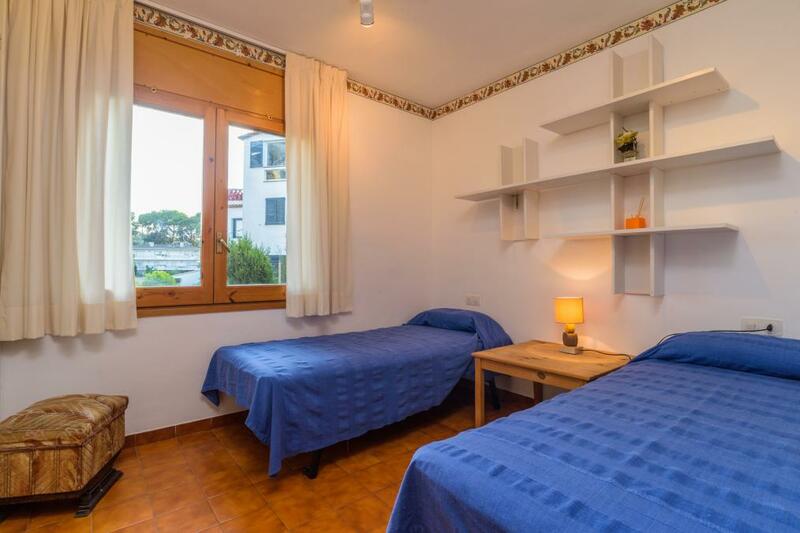 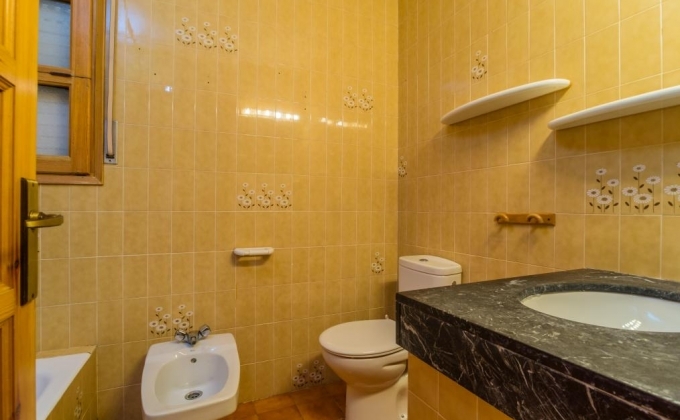 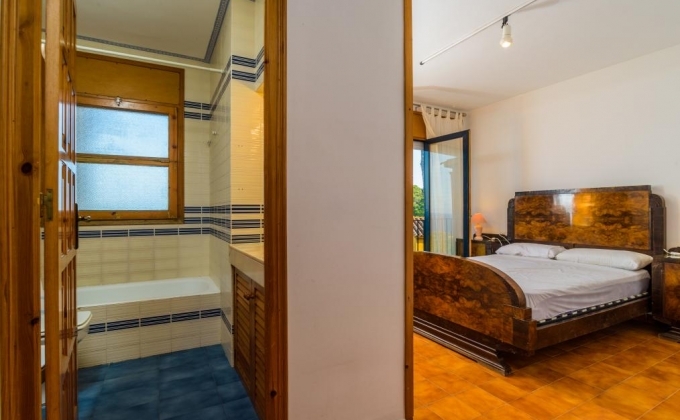 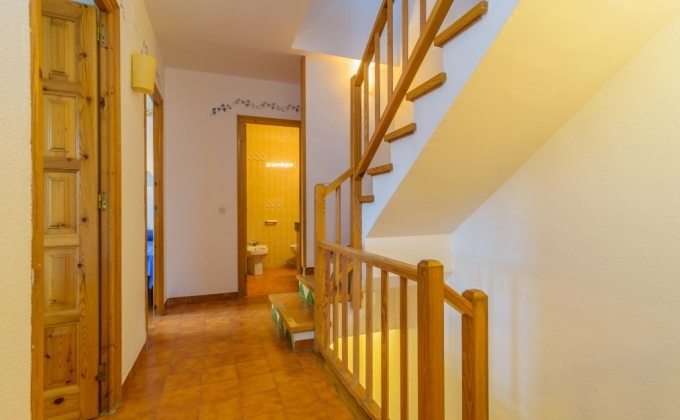 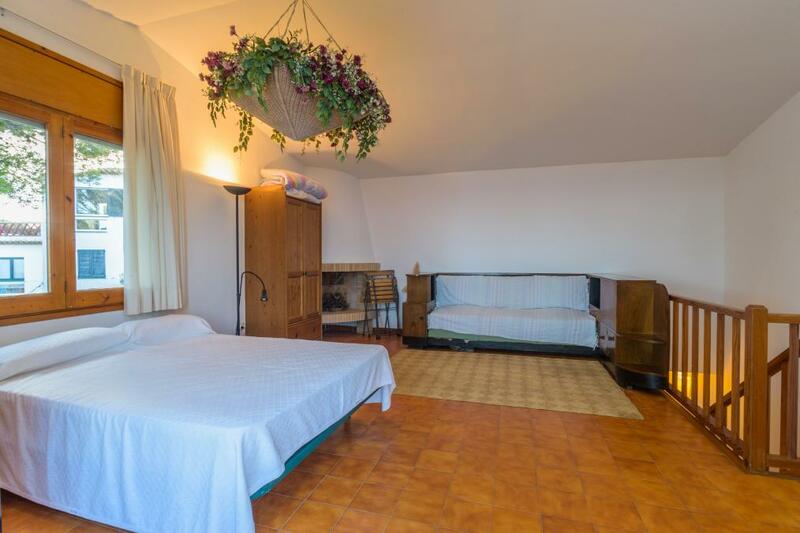 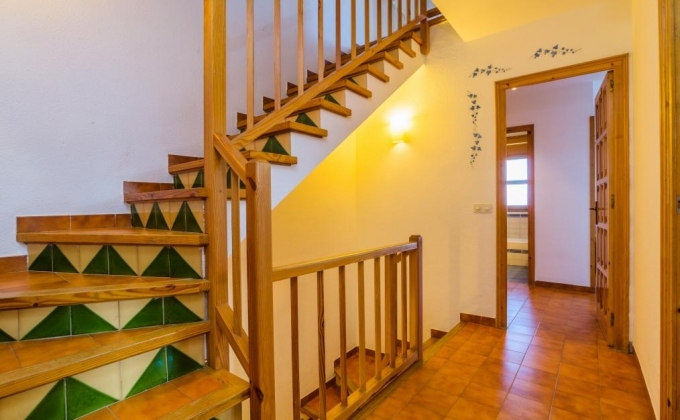 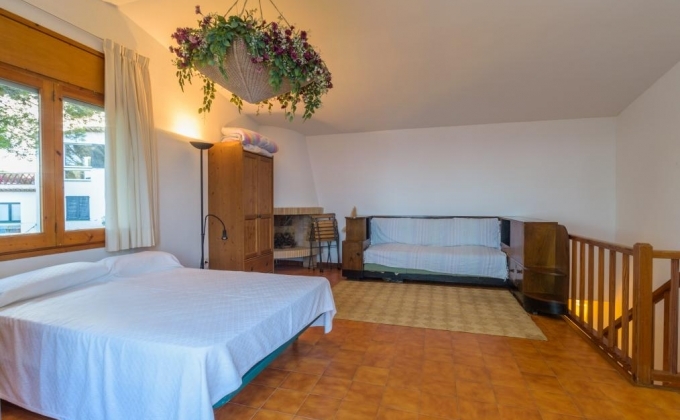 The second floor is an open room, without door, with a double bed and sun terrace. 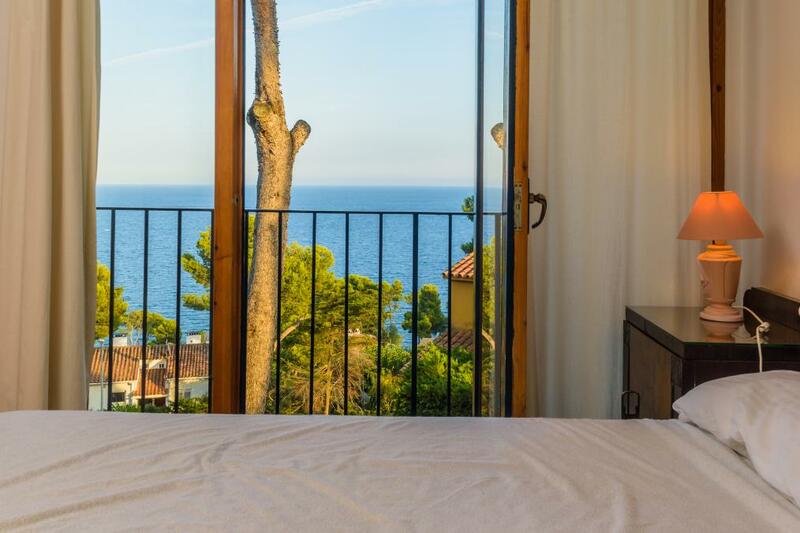 Sea views throughout the house, in the rooms that face the sea. 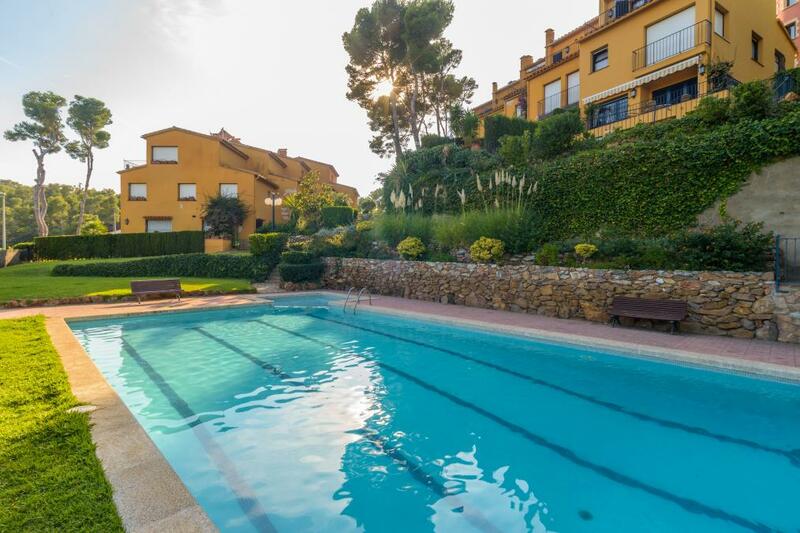 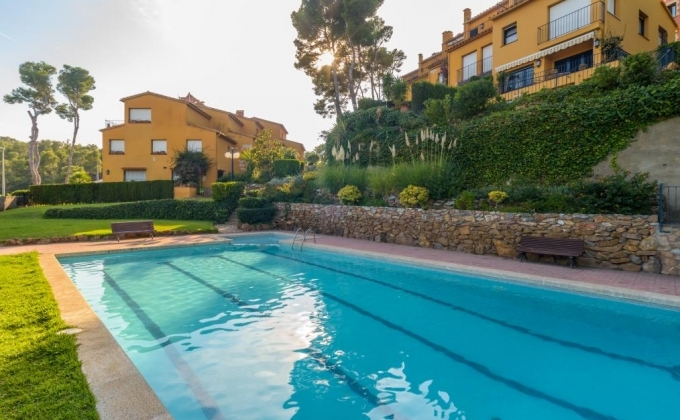 Pleasant communal area with garden and pool. 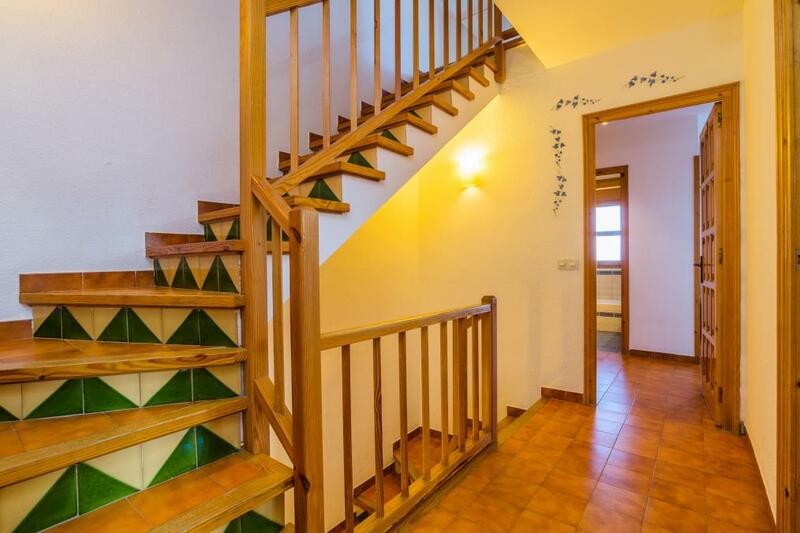 To access the house there is are a lot of stairs. 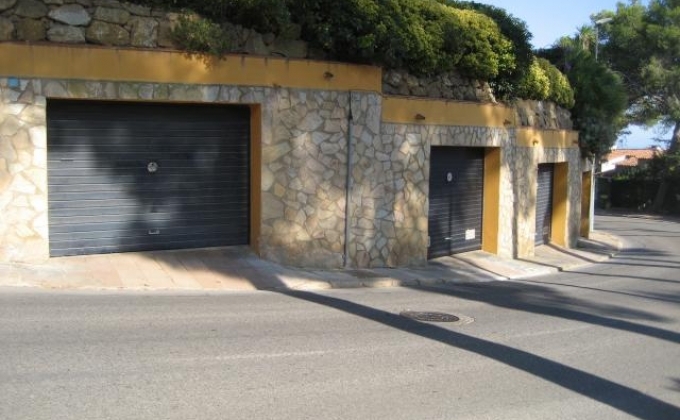 Garage for one car without direct access to the house.